Many Conversion Science clients are focused on generating leads. So, we are always exploring tools that we could use to accelerate our process — and to generate leads for our business. We’ve spent some time evaluating LeadPages on our own site. LeadPages promises to reduce the time it takes to build traditional landing pages, and offers a variety of simple procedures that can maximize your lead capture strategy. Our tests were run using our new report on search marketing, How 20 Search Experts Beat Rising Costs. The first thing you should notice is that this LeadPages page is integrated with the Conversion Sciences WordPress blog. Having a landing page on your main domain can increase trust for visitors, and thus increase conversion rates. Here are 5 more tips to get leads fast using LeadPages. Webinars continue to deliver well-qualified leads, and LeadPages offers a variety of templates to use for webinar registration. Some of the features include a countdown clocks (urgency), social sharing and commenting (social proof), and integrates seamlessly with Google+ Hangouts, & GoToWebinar. This takes us to #2. What if you could increase webinar registration numbers without an external page or funnel? LeadLinks makes this possible by incorporating a 1 click opt-in feature. Once clicked the visitor will be added to a segmented list and will be registered without having to enter an email. It’s truly a zero step optin process. Unfortunately, you cannot use this feature if your list is hosted on Aweber or 1ShoppingCart due to their terms of service. 4. You Can Give Away Pretty Much Anything. We all like free stuff. It’s a simple way to drive traffic, and depending on how your traffic behaves you’ll want to offer a variety of lead magnets to get them through your funnel. But let’s say you want to offer an MP3 on the first landing page, a free report on the second page, and a video on the third. Normally, you would need to break this into three separate email lists, create three separate forms, and write three follow up emails. 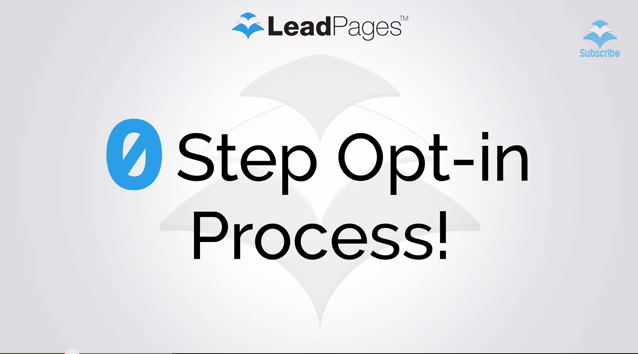 LeadPages simplifies this by allowing you to send a variety of lead magnets on one single list. What’s impressive is you can also send a variety of automated emails per lead magnet when someone opts in. There are several types of files you can upload. Check them out below. Let’s talk about content strategy, shall we? When a business publishes a blog, each post should aim at pulling traffic into the website. Driving traffic isn’t enough, though. Your content should be getting people to join your list. This means placing forms on your blog to entice people to give you their email address. LeadPages has come up with an easier way. LeadBoxes eliminates the process of creating a form or landing page to capture leads. A lead box opens as an overlay, or a popover, with the click of a single button. This means that the visitor MUST deal with the overlay: either join or dismiss the offer. Data from LeadPages indicates that this will increase subscription rates. It can be added easily to your blog posts by embedding a piece of code right in your text. LeadPages integrates easily with Facebook. Visitors opt-in to your list via Facebook without having to enter their email. Add a LeadPage to a customizable Facebook tab. This opens up a window of lead generating opportunities especially advertising for Facebook ‘Likes.’ Simply use this tab as a landing page for your Facebook Ad traffic. Not only will you get new Facebook ‘likes,’ but you’ll increase your subscriber list at the same time. That being said, here are some big problems I have with LeadPages. 1. Let’s start with the price. You’re going to be a little conflicted when paying for the service. You can pay monthly, annually, or for two years up front. Each package has its perks, some more subtle than others. The year’s subscription will save you roughly 40% in the long run. However, if you’re adamant about testing the software for yourself, go with the monthly plan. 2. Customer service is important. If you’ve got the Standard Package, you’re screwed. It can take up to a week for any type of response when submitting a ticket. Even then, customer service may not have a solution to your problem. Time is money, so get the assistance along the way, and pay for a Pro or Enterprise account. You’ll be able to chat with or call for help instantaneously. Dish out the money. 3. As customizable as LeadPages is, it’s not that customizable. Perhaps in the near future they might enhance their platform to let you select what type of elements you want (video, images, social media widgets, etc) to include on the page and where you want to place them. As of now, you’re only given a select number of templates to work from, with features that you can turn and off, and custom colors. 4. If you’re like me, managing multiple clients is important. However, if they use the same email service like MailChimp, The free LeadPages accounts can only have one MailChimp account. However, the Pro version lets you create subaccounts, and each subaccount can have its own MailChimp account. Again, you’ll want to go with a paid account. 5. Finally, it’s still very new. This means there are some undetected bugs and glitches that LeadPages hasn’t solved yet. You will run into a few of those. Don’t spend 5 hours trying to figure out an issue yourself. Upgrade a paid account and let customer service help. 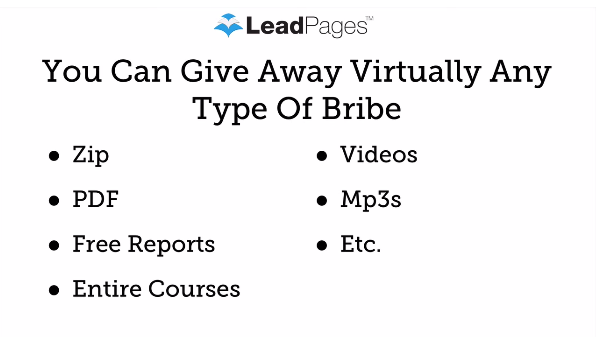 LeadPages offers features that we are finding very valuable for generating leads, especially for an inbound, content-driven program like ours. However, the free account is probably not going to offer the support and features that you need. In my evaluation, LeadPages is worth the cost of a paid account.